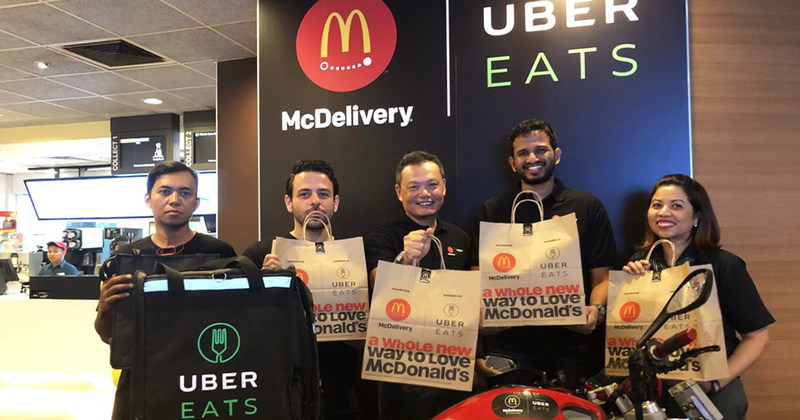 McDonald’s Singapore and UberEATS jointly announced today their partnership, which will allow customers to order their McDonald’s meals via the UberEATS app. 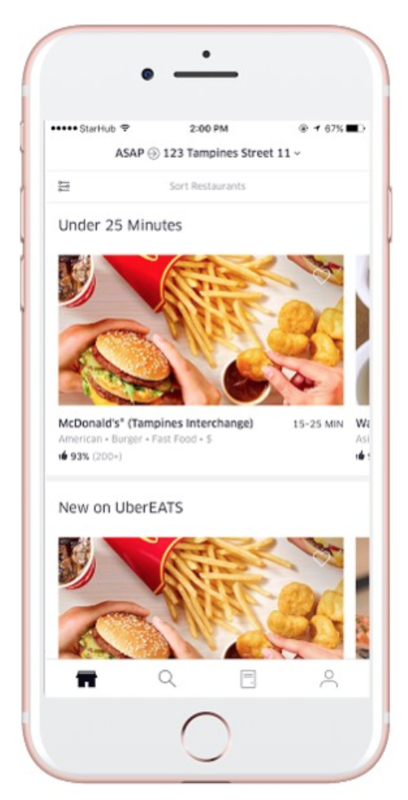 “The ease of the UberEATS app will complement our existing 24-hour McDelivery platform, and provide our customers greater accessibility to their favourite McDonald’s food delivered right to their doorstep,” said Kenneth Chan, Managing Director, McDonald’s Singapore. “In today’s collaborative economy, we aim to expand McDonald’s restaurant footprint with the combined convenience of McDelivery and UberEATS,” added Chan. We are happy to be in bed with UberEATS! 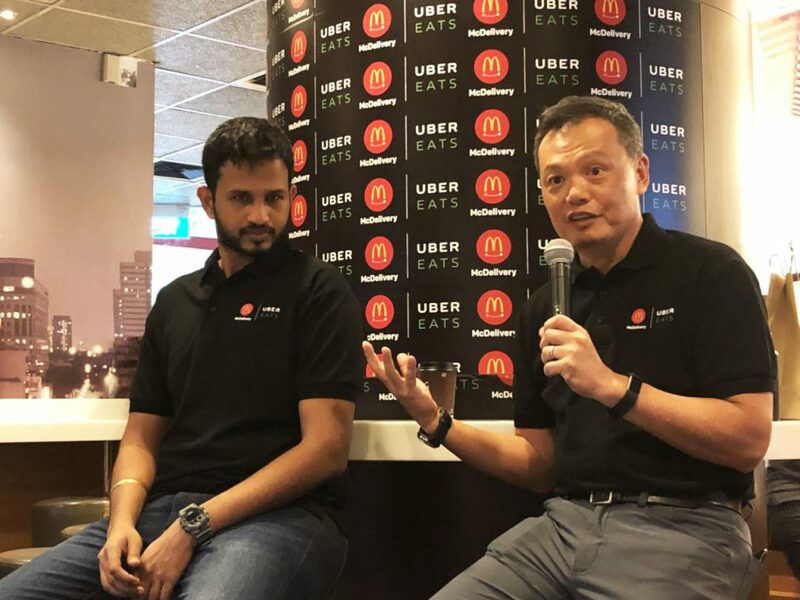 Currently, nearly 60 outlets are on board the app, and there are plans for more to come on board by the end of the year, in a bid to broaden the delivery capacity of all 133 McDonald’s outlets in Singapore. 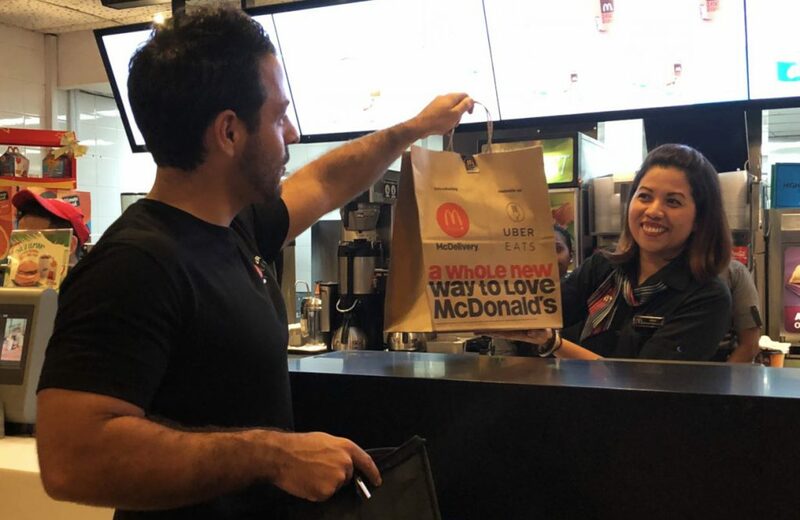 McDonald’s Singapore first launched their delivery service all the way back in 2002, and was the first fast food restaurant to launch a 24/7 delivery service in Singapore in 2005. At the moment, Chan states that deliveries make up a “significant” part of their business, and the contract between both parties is “indefinite”. This partnership isn’t exclusive to Singapore, and is actually part of a global partnership between the F&B and logistics giants. It started earlier in May in the United States, and has 3,500 outlets on board. Currently, the partnership has also expanded to 13 different countries around the world. According to Gopalakrishna, the partnership had resulted in “10-20% increments […] in countries without any McDelivery services”. Demand has also been “overwhelming (in Singapore)”, albeit its very quiet entry into the delivery market here. Trials for the delivery service have been underway since August this year, starting at the Springleaf Tower outlet located along Anson Road. Starting today (24 Oct), customers will be able to order their McDonald’s meal via the app, with no minimum order. The prices of the items would also be uniform between both platforms. Just like all other deliveries made via the UberEATS app, customers will be able to track their deliveries and also contact their delivery partner when the need arises. The standard UberEATS delivery fee of $3 still applies, and just like their ride-hailing arm, a surge will apply during times of high demand. When asked if customers could potentially see a drop in delivery times with the partnership and increase in delivery riders, Gopalakrishna mentioned that UberEATS would, on their end, keep using their “backend to ensure [that] delivery times keep going down”. Exclusive promo code: Enjoy unlimited free delivery for a month with the code ENJOYMCD! Do note that this only applies for first-time users of UberEATS.